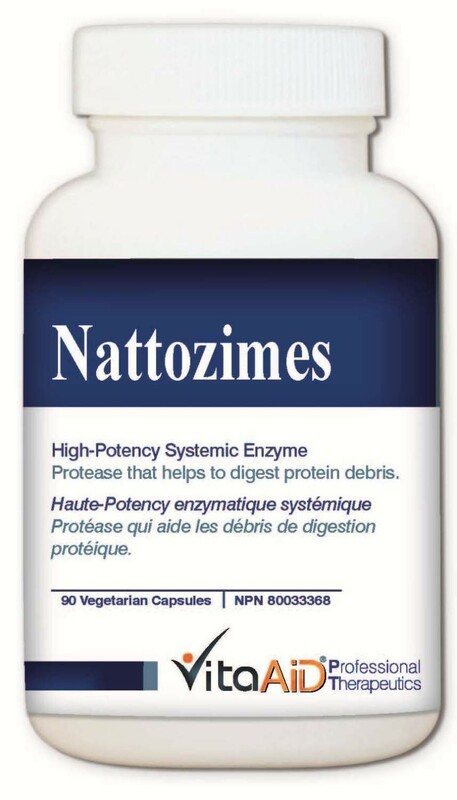 Nattozimes is a soy-free protease with fibrinolytic activity to potentially benefit in promoting the normal and healthy endogenous fibrinolysis and decrease the risk of blood clots that may contribute to severe cardiovascular diseases. Safe and high fibrinolytic unit (FU) per unit dose for better patient compliance. Specimen cultured in allergen-free media (glucose). For support of cardiovascular health and prevention of atherosclerosis and other clot-associated conditions. Suggested Use: Adults - Take 1 to 2 capsules daily or as directed by a health care practitioner. Caution: Consult a health care practitioner prior to use if you are pregnant or breastfeeding, or if you are taking drugs affecting platelet aggregation, or in cases of genetic or acquired bleeding tendencies. Discontinue use if allergic reaction occurs.